Middle East peace is a high priority for President Clinton. 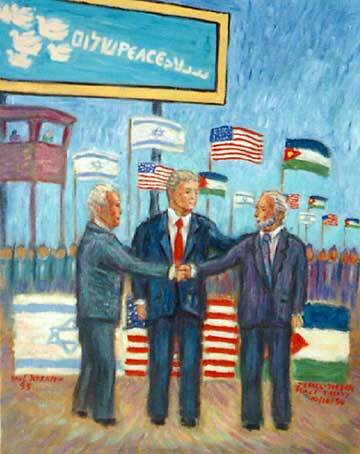 The historic treaty between Israels Ytzhak Rabin and Jordans King Hussein was the highlight. Following the assassination of Rabin and the election of a hawkish Israeli government, the peace process faltered, and a new wave of Palestinian terrorist attacks darkened hope even more. The President maintained this as a hight priority, however. The persistence of the Clinton Administration to achieving peace between Israel and its neighbors may be, ultimately, the force that wins out in the end.